The Cascade mountains located in Central Oregon offers four season resort activities. Full time and vacation residents enjoy snow and water skiing, mountain biking, river rafting, horseback riding, fishing, hiking, golfing, boating, kayaking, and stand up paddle boarding. Local residents enjoy dramatic volcanic mountain views, pristine rivers and lakes, and spectacular star gazing opportunities. Mary has been awarded the prestigious real estate Accredited Buyers Representative (ABR) and the Seller Representative Specialist (SRS) designations provided by the National Association of Realtors and it's associates. Utilizing her experience, education and expertise Mary views her job as a Buyers Representative and a Seller Representative Specialist as one who will negotiate the best deal for her clients. 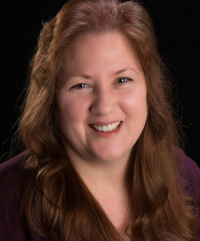 As a Central Oregon Realtor® with over 20 years marketing experience in customer service, Mary strives to provide each client with an expected quality of service through attention to detail, frequent communication, and responsiveness. The equity made on the sale of your home and the money saved on the purchase of your next home affects your future. Mary is one who will safeguard her client's interests as if it were her own, providing the key to your future. Mary believe's that a home is not just a place where we store our belongings or a place to sleep at night; "It is where we go to relax when we are not working (or playing). It is where we love and grow with our families and friends. It is our Safe Haven. Mary is one who listens to clients. She takes the time to find exactly what they are searching for in real estate. Mary uses the newest technology and internet marketing tools to streamline your property search to save you time and effort. She enjoys helping others find that space. Mary views her job as a buyers real estate agent as one who will obtain the best deal for their purchase while helping them to find their home, their "Safe Haven". Mary knows what it feels like to sell a home, leaving behind family memories to make way for new adventures to create more memories. Mary uses the newest technology and internet marketing tools to represent your property to the broadest possible range of well-qualified buyers. She wants to help her clients find a buyer for their home who will love it in the same way as the current homeowners. Mary views her job as a sellers real estate agent as one who facilitates the best deal to get the most for the sellers home in preparation for their next home, their "Safe Haven". Serving Central Oregon; Bend, Sisters, Redmond, Three Rivers South, Fall River, Tumalo, La Pine, Prineville and Powell Butte. Licensed in the State of Oregon. Broker Affiliated with Total Property Resources. Not intended to solicit properties already under contract. All information deemed reliable but not guaranteed. Copyright© 2019.